Christmas is done! Hope you had a nice weekend. We played lots of board games, and ate lots of cookies. A pretty great time, if I say so myself. But here’s the fun part! Now I get to show off the gifts I’ve been working on over the last few months! Let’s start with this cool hat I made for my brother-in-law! 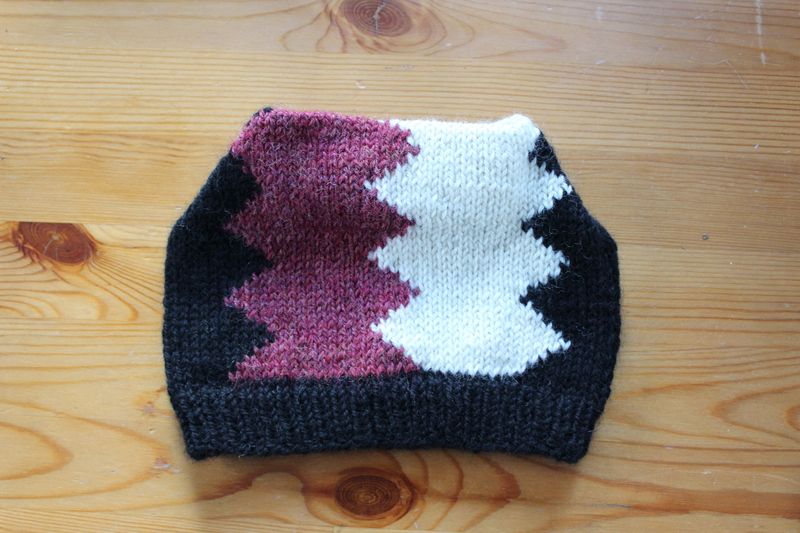 I knit with a very cool “intarsia in the round” technique that I learned at this year’s Knit Fit. Basically, you cast on and do the brim just like normal (in the round). 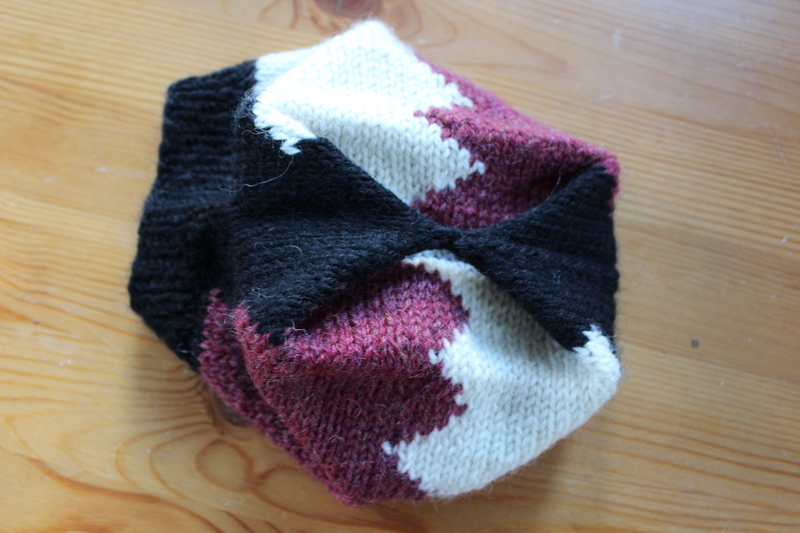 Then, as you knit the top (multi-colored) part of the hat, you use really long short rows and wrap-and-turns to work the intarsia without messing up the order of your yarn. So, you’re effectively knitting back and forth at the same time you are creating a tube that looks like it was knit in the round. Super clever! And, it’s got this cool top (which looks better when it’s worn): It’s dead simple to make. You knit all the way to the top of the hat without any shaping (making it extra-long), then you seam the top to make the whole thing flat, then take the corners and sew them together. What did you make for Christmas? This entry was posted in On My Needles and tagged cap, colorwork, hat, in the round, intarsia in the round, intasrsia, knit on December 26, 2016 by onemilljellybeans.